Der Zigeunerbaron (The Gypsy Baron) by Johan Strauss will be performed by the “Stefan Makedonski” State Music Theater and the National Opera tonight on the stage of the Ancient Theater in the Old Town of Plovdiv. The performance starts 9.00 PM, directed by Bisser Schinev (Germany). 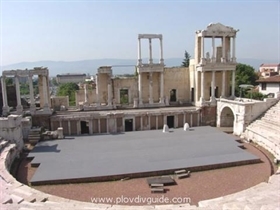 The performance is within the 21st Opera Festival on the stage of the Ancient Theater in the Old Town.